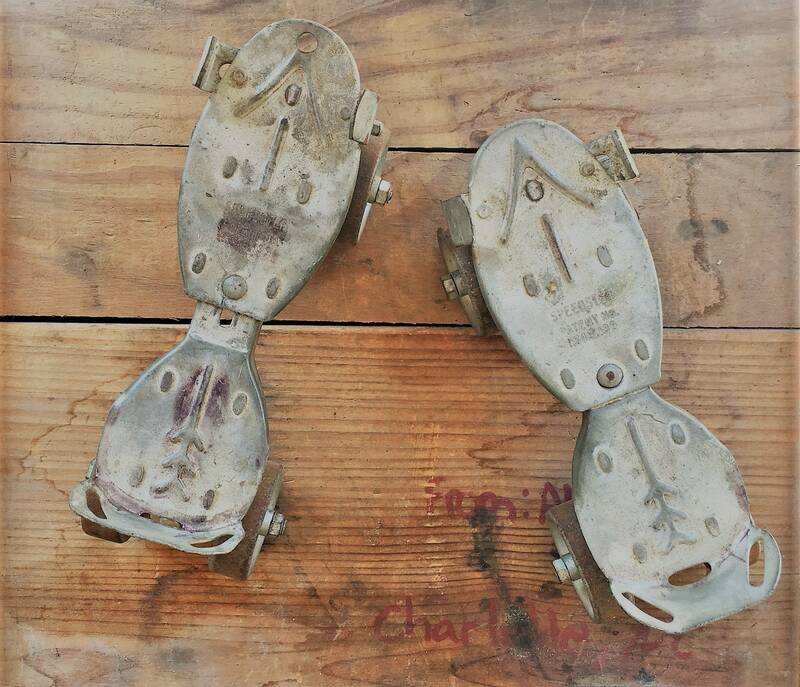 Featured is a cool pair of vintage roller skates. 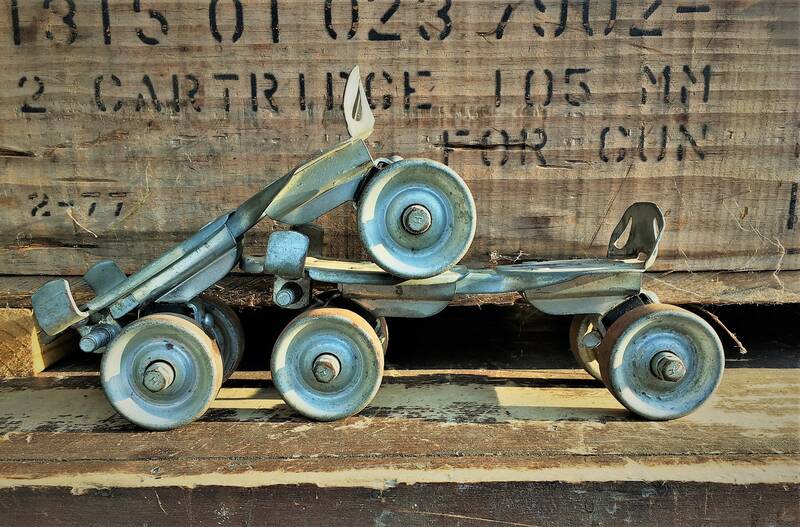 These were made by Speedster and they have metal wheels. They seem to adjust from about 7 to about 10 inches. Wonderful decor pieces. Missing attaching straps. 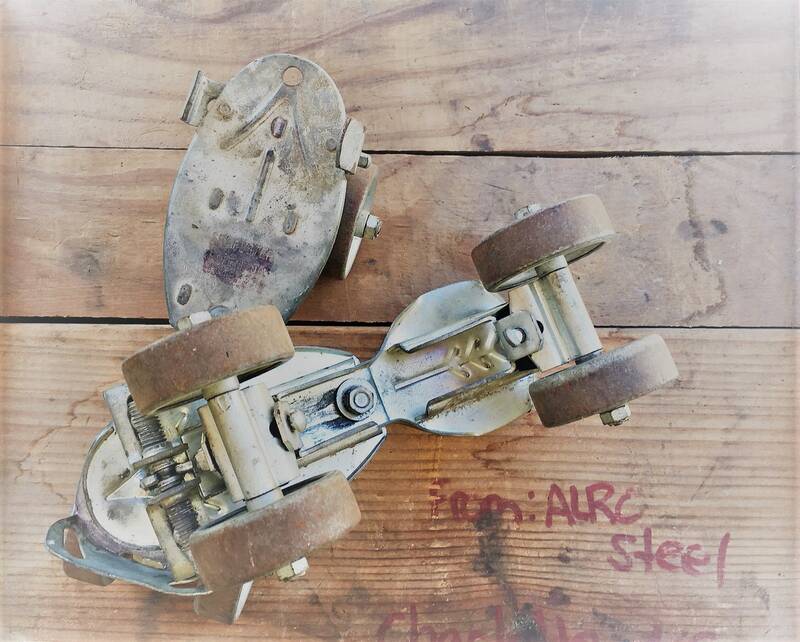 Nice patina and surface rust on wheels. 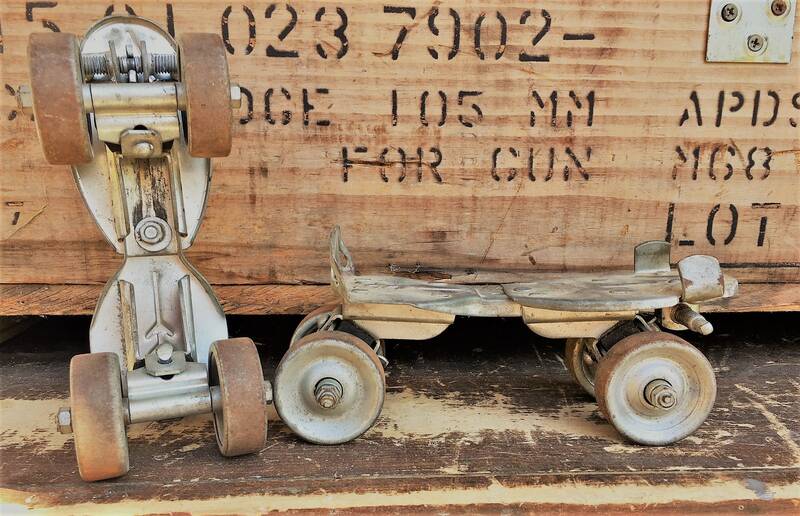 The wheels roll freely. Completely awesome merch and seller!